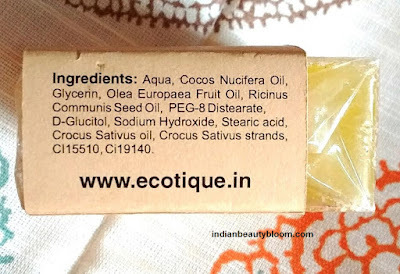 Today I am going to review one more product from brand Ecotique . Review of Ecotique Saffron Glow soap . 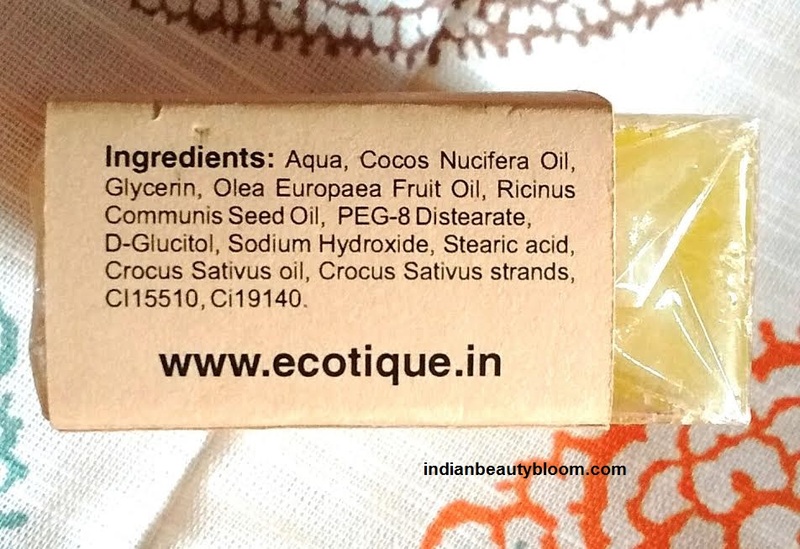 Ecotique is a brand that offers natural skin care products like soaps , moisturizers , Body Oils , Scrubs , face packs etc . They use natural ingredients to prepare their products and their products are free from Parabens , Sulfates , Silicones . 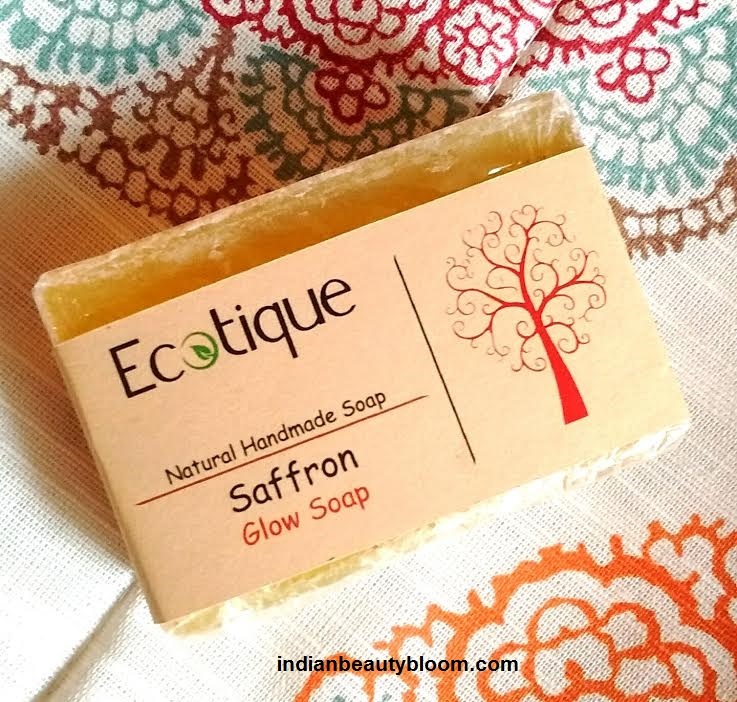 Ecotique saffron Glow Soap is a Hand made soap with goodness of saffron & glycerin. 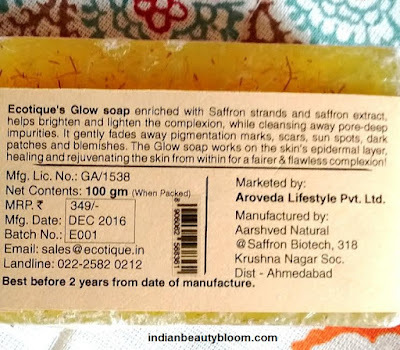 It’s enriched with some natural oils which is good for skin . Product packaging is Okay , It comes in Plastic sheet , with a paper on it , on which all product details are given . 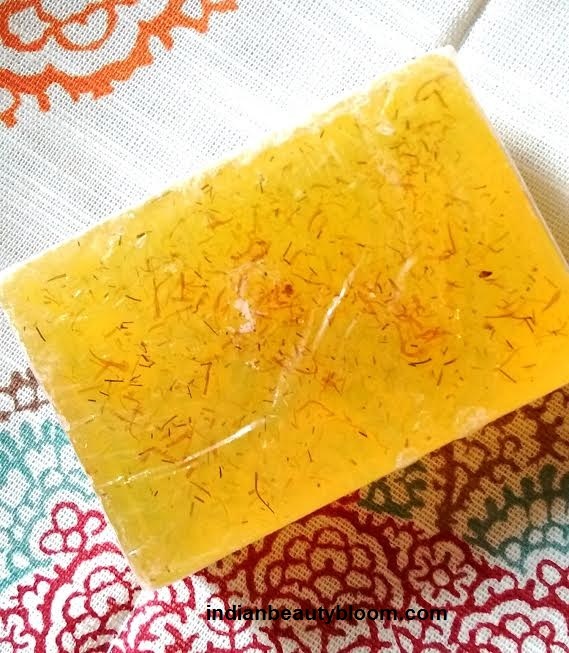 It’s a Bright Yellow color soap , similar to glycerin soaps , with lots of saffron in it . 1. Goodness of Saffron & Glycerin , both of which are good for skin . 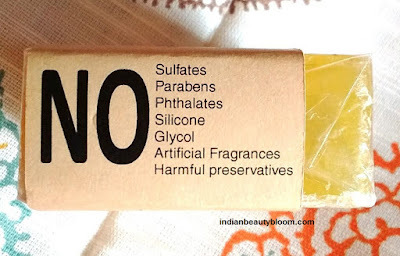 2.Free of Sulfates , Parabens , Glycol etc . 3. 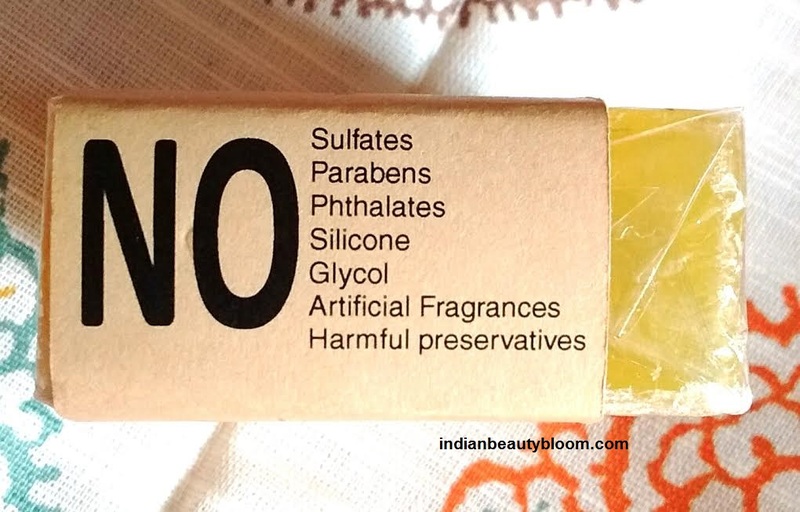 Free of artificial fragrance . 4. Has a nice fragrance which stays for a long period of time . 5.Does not makes the skin dry like ordinary soaps as it contains glycerin & some oils. 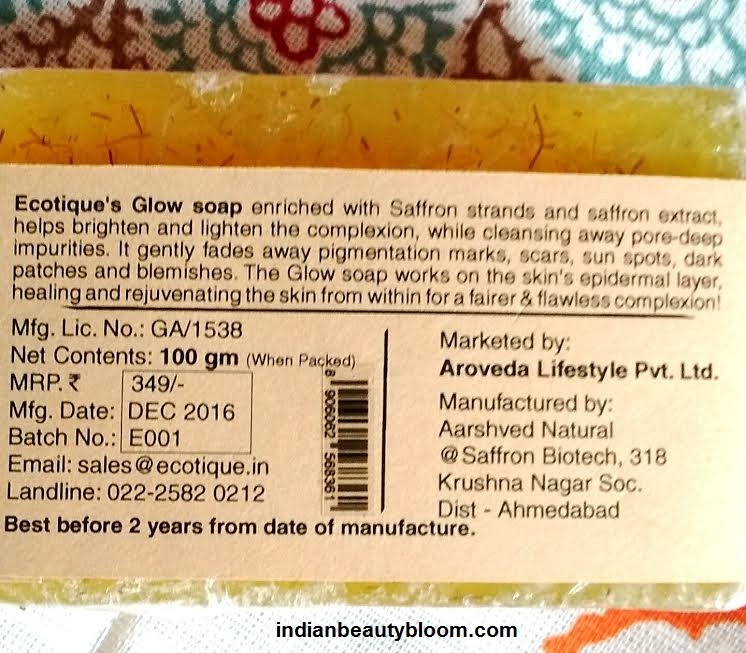 The brand claims that this soap helps to brighten & lighten the complexion while cleansing away pore deep impurities. It also fades away pigmentation marks , blemishes , sun spots etc . It heals & rejuvenates the skin giving fairer and flawless complexion . I am using this soap past few days , it’s good . It has a nice fragrance and it lathers well . It does it work of cleansing the skin thoroughly , removing all dirt & impurities from skin. It does not makes the skin dry like ordinary soaps . One feels fresh after using this soap .